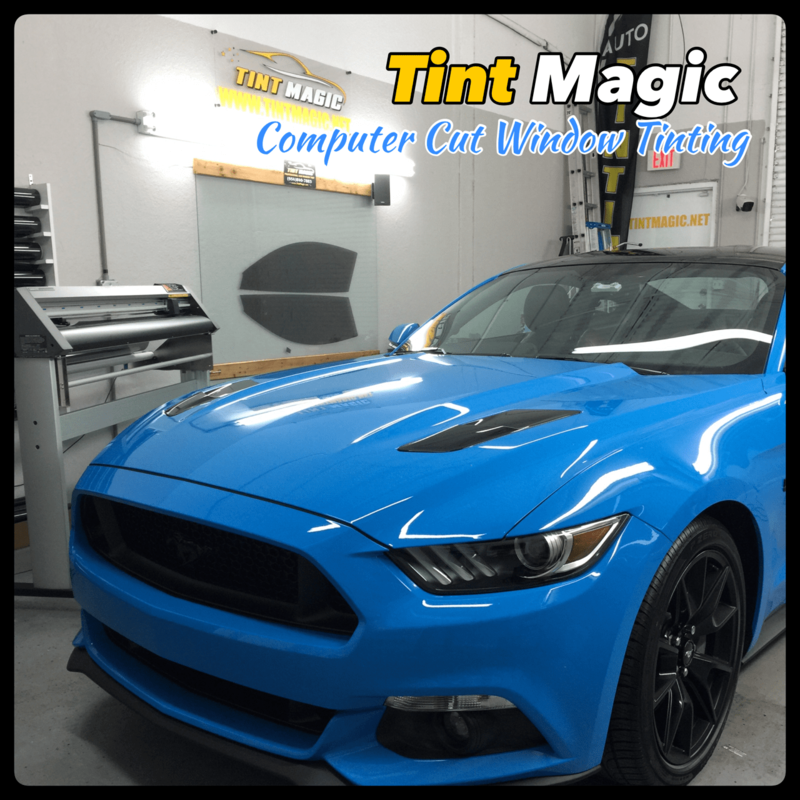 Ford Mustang at Tint Magic Window Tinting, we have applied SunTek CXP-Nano Carbon 18% all over around for the best heat rejection and 99% UV protection. Call us for a free estimate! 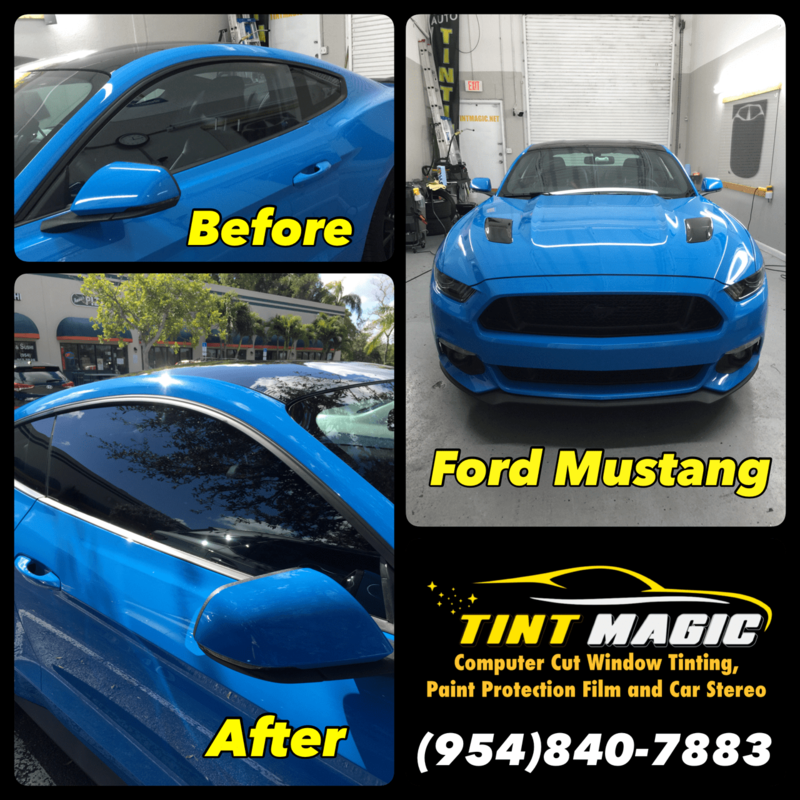 (954) 840-7883. Both 2018 Mustang engines are mated to either an upgraded six-speed manual transmission or a new, optional 10 speed automatic. In the case of the V-8, the manual transmission also incorporates a twin-disc clutch and a dual-mass flywheel. Additionally, all 2018 Mustangs are treated to retuned dampers, new anti-roll bars, and revisions to the rear suspension bushings, while cars equipped with the Performance package gain the GT350’s electronically adjustable magnetorheological dampers, another piece of tech already on the Camaro.